While earning his Creative Arts degree (1973) from Mt Angel College in Oregon, Joe Davis pioneered laser carving methods at Bell Laboratories in Murray Hill, NJ and other nationally renowned laboratories. He joined MIT Center for Advanced Visual Studies in 1981 and was appointed as Lecturer. In 1989 Davis joined Alexander Rich Laboratory at MIT where he is widely regarded to have founded new fields in art and biology. In 2010, he joined George Church’s laboratory at Harvard and is designated “Artist Scientist.” Davis has simultaneous affiliations with Thomas Schwartz Laboratory at MIT and Ashley Seifert Laboratory at University of Kentucky. In 2011, Davis bio-mineralized transgenic silks with metallic gold. 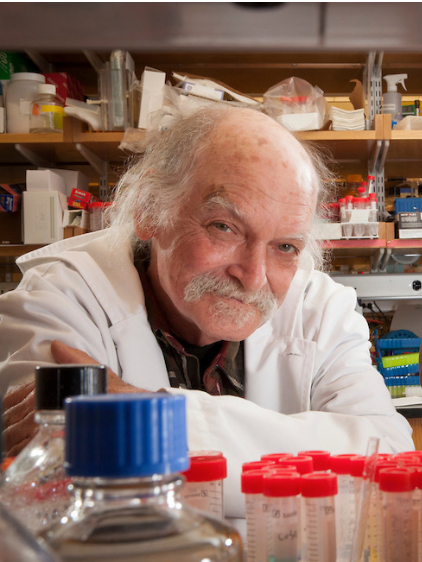 Davis initiated Astrobiological Horticulture in 2016 and created the world’s first DNA “memory crystals” in 2017. Davis’ work has had strong focus in astrobiology and the search for extraterrestrial life. Davis created public sculpture and pedestrian lighting in Kendall Square.